Gallery / Saga Press, 9781481476423, 560pp. Taking place in the world of Cassandra Rose Clarke’s Magic of Blood and Sea, this is the story of a would-be witch who embarks on an adventure filled with intrigue, mystery, mermaids, and magic. Hanna has spent her life hearing about the adventures of her namesake Ananna, the lady pirate, and assassin Naji, and dreams to have some adventures of her own. One day when Hanna is with her apprentice—a taciturn fisherman called Kolur—the boat is swept wildly off course during a day of storms and darkness. In this strange new land, Kolur hires a stranger to join the crew and, rather than heading home, sets a course for the dangerous island of Jadanvar. 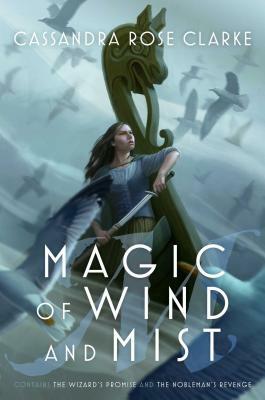 As Hanna meets a secretive merboy—and learns that Kolur has a deadly past—she soon realizes that wishing for adventures can be deadly…because those wishes might come true.